This is the first picture of the crazed crossbow attacker who burst into a doctor’s consultation room and shot him with a crossbow. 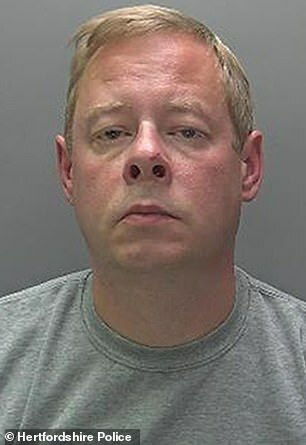 Mark Waterfall carried out the attack in Watford, Hertfordshire, because he blamed Dr Gary Griffith for the death of his father four days earlier in hospital. Today, the 46-year-old was facing a long prison sentence after being found guilty of the attempted murder of the doctor at his surgery last July. After the verdict, police released a custody picture of him. 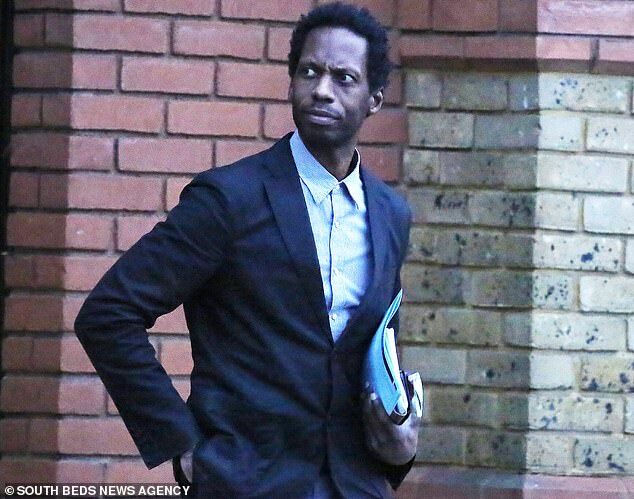 St Albans Crown Court heard that the bolt, which travelled at a speed of 187ft per second, struck Dr Griffith in the left side of his stomach. Miraculously he survived because it was warm in the room and he had loosened his shirt around his waist that morning, so that it was gathered up around his midriff. It meant the arrow had to pass through four layers of his check cotton shirt and didn’t go deep enough into his body to kill him. Waterfall was found guilty by the jury of attempting to murder Dr Griffith on the morning of July 10 last year. Trial judge Stephen Warner adjourned the sentencing for the preparation of reports, including a psychiatric report. Remanding him in custody, the judge told him: ‘I am going to order a pre-sentence report and a psychiatric report to assess your dangerousness – the risk you represent to the public. During the three day trial, the court heard how Waterfall wrongly and irrationally blamed Dr Griffith for the death of his father, 76-year-old Terrence Waterfall. 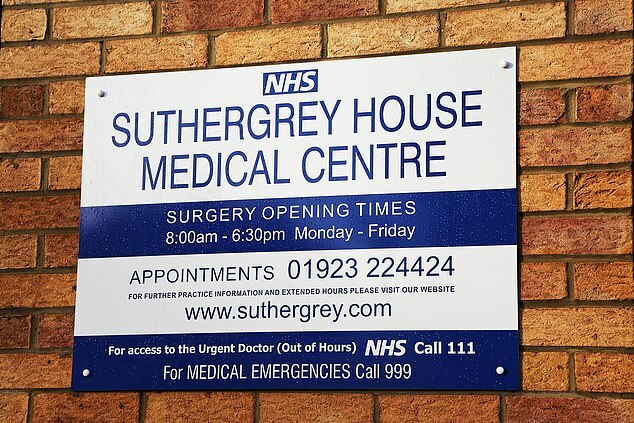 Five days before the crossbow attack, Terrence Waterfall had gone to see the Dr Griffith at the Suthergrey House Medical Centre, complaining of breathlessness. The plan was for the fluid to be drained, but the court heard medics at the hospital found the father had a cancer on his lung and the procedure could not be done. In the days that followed, the son – who has a history of mental health issues including an eating disorder and depression – became convinced that the doctor was responsible for this father’s death. On the morning of July 10 last year, Waterfall left his home in his silver Hyundai car and drove to a nearby Wetherspoons pub for breakfast. Then he drove to the surgery where Dr Griffith has worked for more than 20 years. In the car was a powerful crossbow Waterfall had brought two weeks earlier. 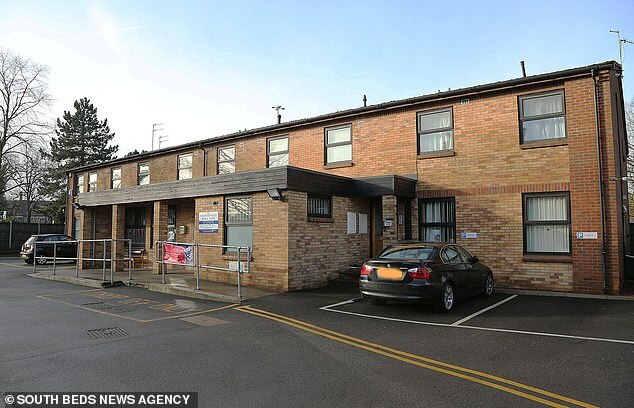 On entering the surgery that morning with the crossbow hidden in two plastic carrier bags he could seen from a screen which consultation room the GP was working in. He then sat in the waiting area, positioning himself so that he could look down a corridor and see when a patient left room nine and the doctor would be on his own. At around 11am, Dr Griffith was sitting at his desk in a swivel chair writing up a patient’s notes when the door to the room suddenly opened and Waterfall walked. ‘He stepped into the room and was pointing something at me,’ the doctor told the court. Dr Griffith said he had recognised the defendant as a patient as soon as he came into the room. ‘He had been my patient for 10 years years. I recognised him immediately. He just seemed furious,’ he said. The doctor said from a distance of about 5ft, Mr Waterfall fired the bolt at him which entered the left side of his abdomen while he was still sitting in his swivel chair. The jury heard Dr Griffith was saved from serious injury that day because it had been very hot and he had loosened his shirt by pulling it up from under the waistband of his trousers so that it was gathered in folds around his midriff area. The court was told after firing the bolt and realising he hadn’t killed the doctor, Mr Waterfall, of South Oxhey, Watford, dropped the crossbow on the floor and left the consultation room. Dr Griffith, having removed the bolt from the left side of his abdomen, followed him outside the building to the car park and tried to stop him from getting into his car by talking to him. The doctor said when Mr Waterfall got into his car he took photos on his mobile phone of the vehicle’s number plate before going back into the surgery where he called the police. The prosecution said how, in the days leading up to the attack on the doctor, the defendant had ‘developed a festering hatred’ for him based on what his perceived as the mistreatment of himself and his father. The court heard Mr Waterfall had in the past experienced mental health issues, including an eating disorder and depression. After the defendant’s arrest, said the prosecutor, police officers discovered he had documented his anger at the treatment given to his father and himself in a number of video and audio recordings he had made. A USB stick that was strapped to his toe on his arrest was also found to contain information ‘files’ in which he expressed his anger. The court was told an expert who examined the crossbow tested it and found it could send an arrow through the air at a speed of 187ft per second and was capable of causing a fatal injury. Giving evidence, Waterfall told his barrister Charles Langley he had not meant to harm or kill the doctor. He claimed he took the crossbow with him to the surgery that morning because he wanted to confront Dr Griffith and get answers ‘about my medical health and my father’s medical health. I was going to try and scare Dr Griffith,’ he told the jury. ‘I aimed down and away so I wasn’t going to hit his trunk or face. I hit him where I aimed to hit him,’ he said, telling the court he hadn’t told the doctor he was going to kill him. Waterfall, at the start of the trial, admitted a charge of wounding Dr Griffith with intent. He will be sentenced next month.